Many insurance claims tend to be fairly standard and straight-forward. 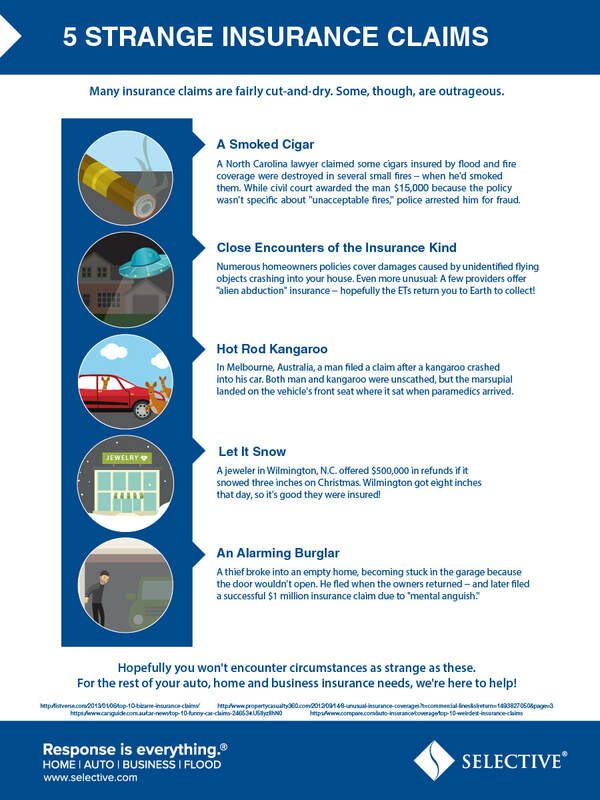 But there are some that be quite specific beyond the typical auto, home, or business insurance. For professional help with your home, auto, or business insurance coverages, speak with an agent today.